Most Americans view George Washington as the “Father of Our Country.” That may be true, but he never shared a cover with Spider-Man. Many presidents are remembered as “larger-than-life” characters, but none of them have made as many appearances in the ultimate showcase of American mythology, comic books, as Barack Obama. 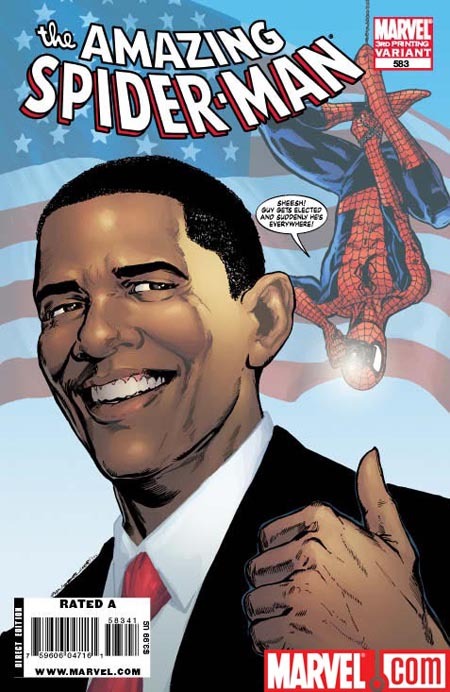 President Obama on the cover of "Amazing Spider-Man #583." Image courtesy of Marvel Comics. Obama is America’s first superhero president. In the DC Comics miniseries Final Crisis, he made a cameo appearance as Superman. He was also on the cover of Amazing Spider-Man #583; in that issue, Spider-Man and the 44th President foiled an Obama doppelganger. Even when he is not donning a cape, Obama still makes regular appearances in superhero comics. When Asgard was attacked by Norman Osborn in Siege, Obama pardoned and reinstated Steve Rogers (the original Captain America) who was declared a public enemy after he rebelled against the government in the Superhuman Civil War. And, as if the recession was not enough of a problem, Obama recently had to respond to an attack by Godzilla. So why to comic writers like Obama so much? One possible explanation is the emphasis on realism in comics. In the Marvel Universe, Bruce Banner may turn into the Hulk, but everything else is exactly the same as the real world. With that rule, any president should be a regular character in Marvel’s comics; supervillain attacks and alien invasions probably warrant the Commander in Chief’s attention. However, not every president gets the comic book coverage Obama does. When George W. Bush was president, he was barely mentioned in Marvel, even when he signed the Superhuman Registration Act into law in Civil War. It doesn’t explain why DC turned Obama into Superman either. DC does not view its characters’ universe and the real universe as the same; Obama is just as fictional in the DC Universe as Clark Kent is in ours. Maybe it’s just politics. Perhaps comic book writers and artists are the nerd version of the Hollywood liberal elite: a bunch of hopelessly biased Obama-worshipping commies. A comprehensive poll of comic creators’ political views would be difficult, but one thing is certain: the Obama stories don’t seem political. He appears in stock superhero plots fighting stock villains, not Republicans. In contrast, there was an open attempt to fight the political battles of the 1980s in comics. While not explicitly named, a president who looks exactly like Ronald Reagan started a war in Central America (and provoked the Soviet Union) in Batman: The Dark Knight Returns. 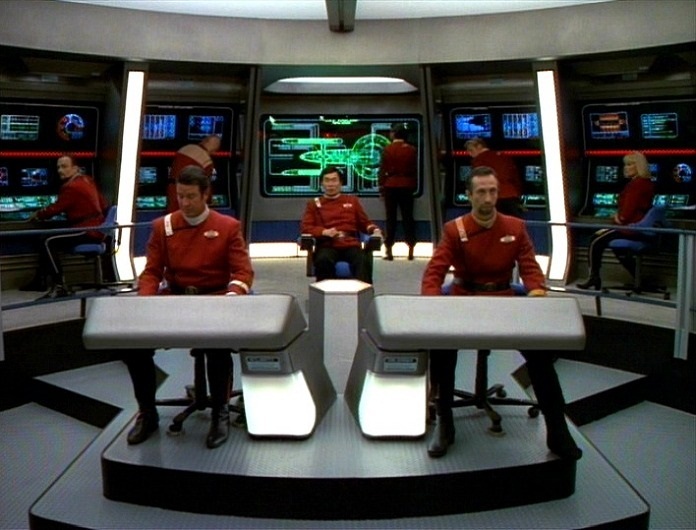 On the conservative side, Reagan’s Raiders featured “the Gipper” and his cabinet carrying out the administration’s foreign policies in red, white, and blue spandex. Showing Obama shaking hands with Spider-Man is very different from those openly political stories. When he opens his mouth, the word bubbles aren’t filled with lines about socialized medicine or job creation. Every time he appears in comics, Obama is too busy trying to save the world from a super-powered threat to plug his own, real-life policies. If stories that include the President are supposed to be political propaganda, it’s all very subtle. 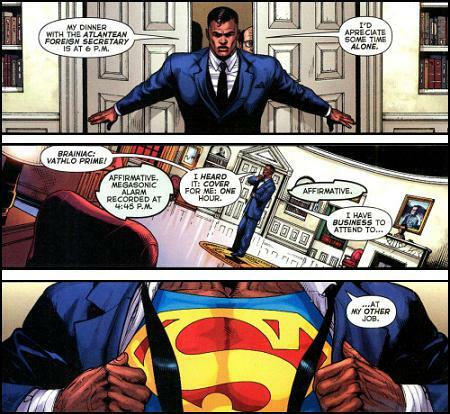 Obama as Superman in "Final Crisis #7." Image courtesy of DC Comics. In fact, Obama blends very well into the world of comics. That’s where the “larger-than-life” factor comes in. When Obama ran for president in 2008, people treated him like the Messiah. 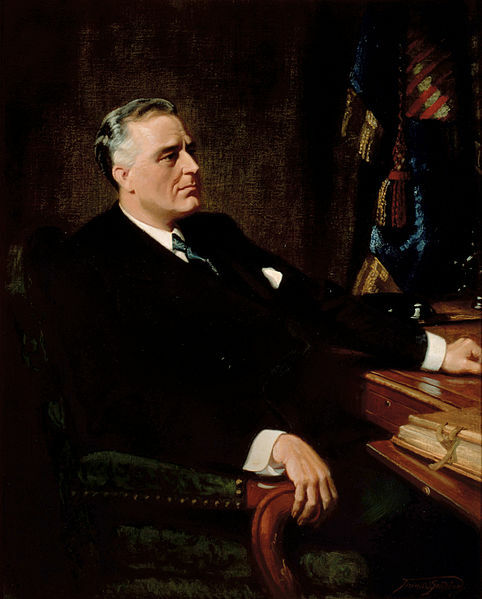 He was charismatic, well-spoken, and promised real change to a political system many Americans had lost faith in. He became the first African-American president and killed Osama bin Laden, organizing a special operation worthy of the Secret Avengers. America’s desire for a president that is more than the average politician, and 52% of Americans’ belief that Barack Obama could be that president, made him seem like a comic book character. Since 2008, Obama has lost some of that luster; maybe he should read a few of his own comics.